On 1 July 2018, Innovate Change will merge with Innovation Unit, a not-for-profit social enterprise that creates new solutions for thriving societies. Innovation Unit currently has bases in the UK and Australia. The merger with Innovate Change will see Innovation Unit establish a strong presence in New Zealand. Innovation Unit and Innovate Change have collaborated through a formal partnership for over a year. We have incredibly strong mission, values, and mindset alignment. We want to see similar change in our communities, and we know that we can have more impact in the Asia Pacific region if we work together. Bringing together our unique skill sets, experience and strengths within one organisation significantly increases our ability to create new solutions that have impact at scale. Innovation Unit has always worked internationally, increasingly working around the world with a range of ambitious partners and clients. The merger will increase opportunities for shared learning, collaboration between UK, New Zealand and Australia staff, and increased organisational efficiency. All Innovate Change intellectual property, staff, contracts will transfer to Innovation Unit on 1 July 2018. People have the opportunity to fulfil their potential. Collective action - the energy that comes from people acting together to solve problems and create solutions. Innovate Change is a New Zealand based social change agency that was started in 2011 by Simon Harger-Forde. 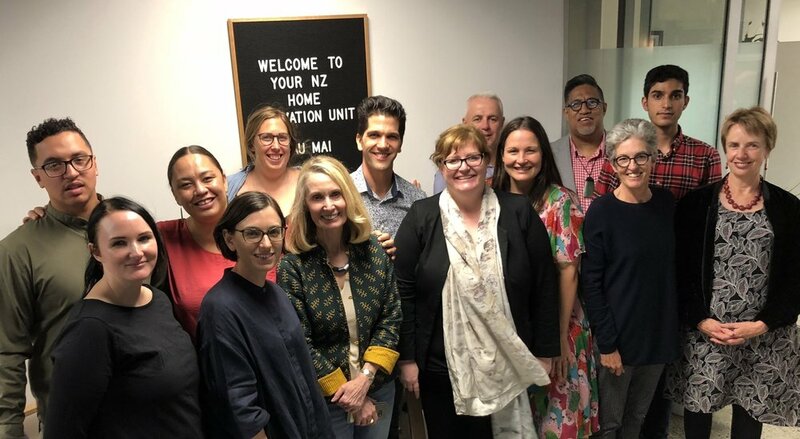 The organisation has used the creative and participatory approaches of social innovation to build social connectedness that enables youth development, whānau (family) development and positive ageing. Innovate Change has seven social innovation practitioners on staff and a diverse and skilled board. As a result of this merger, Innovate Change will ‘cease to trade’ on 30 June 2018 and the Innovate Change brand will be discontinue. What is the legal status of Innovation Unit in Australia and New Zealand? Innovation Unit Australia New Zealand is a standalone legal entity with its own independent governance and management structures and systems. The new entity is being registered with the Australian Charities and Not-for-Profits Commission and will operate in New Zealand. What is Innovation Unit’s capability to work with New Zealand communities? We will continue to have the strong commitment to bi-cultural practice that Innovate Change has had. As part of this commitment, we have developed a Māori identity which will be used, where appropriate, in our work in Aotearoa New Zealand. You can find out more about the story and process to develop our Māori identity here. What happens to the current innovate change staff? All staff will transfer to Innovation Unit. Innovation Unit will occupy the same studio space Innovate Change has been based at in Mt Eden, Auckland - sharing with our good friends Curative and ākina. Who will be in charge? Keren Caple will be Chief Executive Australia New Zealand, supported by an Australian New Zealand leadership team made up of Martin James (currently Head of Innovation Projects, Innovation Unit), Aimee Hadrup (currently General Manager, Innovate Change) and Simon Harger-Forde (currently Director, Innovate Change). Simon will be on sabbatical from July 2018 until February 2019. There are no changes to the leadership of Innovation Unit operations in the UK. What about the work that Innovate Change is currently doing? Innovate Change has negotiated for all of its current work to be transferred to Innovation Unit. Who will be on the board? The establishment Board for Innovation Unit Australia New Zealand will comprise of Kate Frykberg, Manaia King, Susan Mann and Jan Owen. There is a commitment to having equal numbers of New Zealand and Australian Board members. Further board members will be appointed over time. Who can I talk with to find out more? Contact Keren Caple, Chief Executive Australia New Zealand, Innovation Unit on +64 9 3787642 or +61 1800 953 026 or keren.caple@innovationunit.org. In this article, Kataraina, one of our Project Leaders at innovate change reflects on her journey into social innovation. This is the first in a three-part blog series with her reflections on the deep connections between the tikanga and practice of social innovation and Te Ao Māori. Social innovation is the process of designing, developing and growing ideas, products, services, strategies and organisations that work to address unmet social needs. It is not just about reaching an outcome, it’s also about developing capability within organisations, communities and individuals to better respond to the social challenges they face now and in the future. Co-design is both a method and a mindset. It is a way of gathering lots of different perspectives, insights and experiences to work together toward better solutions. Ko Kataraina Davis tōku ingoa. Māori have been innovating for generations. History shows, there was a need to work together, be creative, take risks, and be comfortable in ambiguity to ensure the continuation of our people - Ngai Māori. Māori are innovating everyday and social innovation allows and encourages us to live and breath our daily practices while addressing social challenges for the betterment of our people. Social innovation is articulated through this Māori proverb. In October 2015, I found myself at a crossroads. My beautiful father, who I lived with and looked after, had just (in May) passed. I questioned my purpose and what steps to take for my own development, while still providing for my family. With the encouragement from my whānau, close friends and colleagues, I decided to take the risk, after 12 years, to move from my beloved sexual health promotion post with Auckland Sexual Health Service, and apply for the Māori Project Lead role here at innovate change. Social innovation was a brand new space for me, or, so I thought. I thought I knew nothing. Prior to my interview and first step into the social innovation space, I rapidly immersed myself into everything I could find with the hope to understand just enough. To try and compare the knowledge I had from my own life experiences, te reo Māori me ōna tikanga, and from working in a health system. I looked for examples of where social innovation might align with me, to articulate what this new space was. I was attempting to learn a new language, in a very short space of time. I found a multitude of social innovation concepts, methodologies, models and practises that aligned with what I connect to most - my Māoritanga. To build this picture, I will compare 5 key Māori values, principles, or ways of being that are brought to life by co-design. Rangatiratanga (noun) chieftainship, right to exercise authority. “Hapaitia te ara tika pumau ai te rangatiratanga mo nga uri whakatipu”. Foster the pathway of knowledge to strength, independence and growth for future generations. Social innovation allows for those who will benefit from the result of a social innovation process to achieve autonomy over their own lives and what is designed by them and for them. This is achieved through allowing all voices to be heard, and all people to be experts in their own lives, through a commitment to participatory practice. A commitment to creativity that enables agility throughout a process, leaving room to adapt quickly and increase accessibility to participate. Manaakitanga (noun) hospitality, kindness, generosity, support - the process of showing respect, generosity and care for others. A person who mistreats his guest has a dusty Marae. Social innovation enhances mana - it validates and gives value to all stories shared with us. Co-design workshops are built on showing manaaki through hospitality. Ensuring everyone is comfortable; privacy and confidentiality is maintained; transparency is encouraged and activities or ways of working are accessible. Ako (verb) to learn, study, instruct, teach, advise. The answers are within us. It requires questioning and listening with intent to fill your 3 kete of knowledge, using multiple methods of co-design to allow for all who will benefit from what is designed, to participate. Whanaungatanga (noun) relationship, kinship, sense of family connection. A voice may be heard, but a face needs to be seen. Co-design relies on relationships and networks. To begin with, there is a need to build enduring relationships without intent, having a cups of tea, investing time and resource into your relationships. Secondly, while co-design can be rapid and the resource of time is not always freely available, there is a still a commitment to giving the time to build the rapport needed to work meaningfully together. Tangata Whenuatanga (noun) indigenous people - people born of the land. Co-designing in Aotearoa requires a genuine and active commitment to reducing inequality for tangata whenua of Aotearoa - my people, Ngāi Māori. How might we enable ways for Māori to participate in processes from research phase through to the implementation of a ‘thing’? How might we always honour Te Tiriti o Waitangi in our way of being, and practice? Who do we know that can help us to build capability in this area? At innovate change I hear these questions being asked constantly, I see our daily commitment to being a bi-cultural agency, and therefore I feel our growth as a team, and organisation towards achieving cultural competency. Acknowledging that this is an everlasting journey. In part two of this series I will illustrate how innovate change works towards decreasing inequality for and with Māori, and the work that takes place to build our capability around bi-cultural practice. Through all the values, ways of being and working mentioned earlier, social innovation and co-design acknowledges that there is a need for all to participate fully and meaningfully. These approaches generate buy in from those who participate, enabling kotahitanga (unity) and a sense of ownership to move forward together. The result is something designed with meaning and intent to serve the people we are designing for, alongside us, and always in heart and mind. We are delighted to announce that we have entered into a formal partnership with the Innovation Unit. The Innovation Unit is one of the leading social innovation organisations in the world. It grew out of the UK Department for Education eleven years ago as a social enterprise that grows new solutions for thriving societies, and seeks bold change that enables thriving youth, thriving families and thriving communities. Innovation Unit works globally with bases in Australia and the United Kingdom. The Innovation Unit has worked with government agencies and district health boards in New Zealand, and three of their directors, David Albury, Valerie Hannon and Anthony MacKay will be well known to many of our colleagues. The Innovation Unit and innovate change have incredibly strong mission, values, and mindset alignment. We want to see similar change in our communities and societies. We know that we can have far more impact in the Asia Pacific region if we work together. So we have formed a partnership to do just that - working together to enable youth development/thriving youth; positive ageing; thriving communities and thriving families/whānau well-being. Our partnership means we will share staff; have joint teams working on some projects and programmes; learn from, and support, each other; and collaborate to develop social innovation practice in the Asia Pacific region. 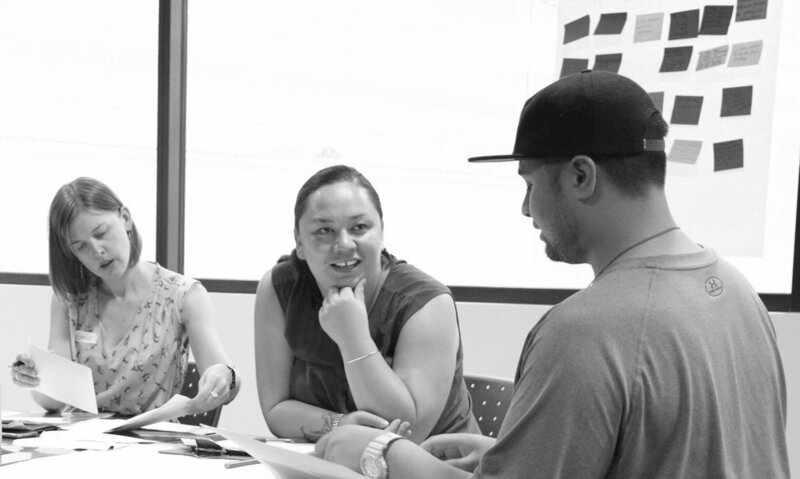 We are delighted to welcome five new social innovators to the innovate change whānau. We are welcoming a new new board and a new General Manager. provide connections that may grow our work and impact. seeking to have two of the four positions on our board held by Māori. We are thrilled to welcome Kate Frykberg, Atawhai Tibble, Apenti Eruera Tamanui-Frasen, and Karan Kalsi to join Simon in making up our new advisory board. We’ve also welcomed Aimee Hadrup as our new General Manager. Aimee joined us directly from a year parenting Charlie, and from the Ministry of Health where she has played a senior role in the establishment of Healthy Families NZ. Aimee’s government and public health background will be a massive asset to us. She will lead the operational management of our organisation and play a senior role in business development and our social innovation work. You can find out more about Kate, Atawhai, Apenti, Karan and Aimee here. This article is authored by Kelly Ann Cunningham, based on her keynote presentation from the 2017 Design for Social Innovation Symposium in Ōtautahi. It was originally published on Medium. While good-intentioned, designers can be guilty of designing people in and out of opportunities for decision making. The very same criticisms we often have for others. Sometimes we carry out deep formative research and generous prototyping, while leaving the ideation, detailed concept development, implementation and delivery to designers and other professionals. We do that, because that’s what we’re skilled at. Right? Sure, designers and other professionals have immense value. However, there’s an opportunity for us to be really honest about what we’re trying to achieve in the work of ‘social’ innovation, which, in many ways is so very different to commercial innovation. Design for social innovation is an act of service, not merely a service. This article explores eight observations on what appears to be emerging in the field of social innovation. What may be holding us back, propelling us forward, and where we might be headed with design, and co-design practice. In social innovation we’re looking to increase the agency of those systematically excluded from decision making and who have likely been socialised as passive recipients of policies, programmes and services. In social innovation, we’re looking to radically improve the lives of those who experience unacceptable levels of disparity — be it in health, social, economic or educational outcomes. In social innovation we’re designing for extremes, not everyone. In extremes, we find magic. Positive deviance, people who have developed extraordinary thriving strategies, despite the adverse conditions of their lives. We all benefit when we improve the experiences of those who experience the most significant barriers to health, happiness, and lives full of opportunities to prosper. Innovation challenges, funds and social labs are often set up with an expectation that those we’re trying to serve will come forward. Forgetting experiences of whakamā, feelings of inadequacy, fear, the impact of ‘passive recipient’ socialisation on one’s sense of self-efficacy. ‘Put it out there and they’ll come’ just doesn’t hold up if we’re looking to meaningfully engage those who experience the most disparity, the greatest disconnection. We simply hear from those already engaged. Putting ourselves out there requires bravery, and an intrinsic belief that we matter. What’s needed? Initial work to build self efficacy, and prime for trust. Taking the basic community development principle of meeting people where they are. Sometimes, we’re not the best people to do that work. Therefore, instead of running an innovation challenge, or lab, we’re running a challenge to build people’s sense of self-efficacy, confidence, social connections — of which one output may be pitching an idea for an innovation challenge. Different to commercial innovation, within a design for social innovation context we have the chance to begin building capacity, and setting the conditions for social change from the moment we begin. We cannot afford to wait until after insights have been found, ideas discovered, tested and refined. By that point, we’ve missed a significant opportunity to build capacity and ownership. In 2027, we’ll focus as much on capability building, if not more, as we do on facilitating a design process. While it’s not easy building capability or self-efficacy, as social innovators we must be in the business of capability building if we’re to be a practice that actively promotes empowerment, inclusion and community led action — as opposed to further exclusion. Is co-design is dissimilar? At the heart of participatory design, is the opportunity for us to learn about ourselves, from others, and create new knowledge together. As humans, we need to feel safe in order to use the creative centre of our brains. When we feel unsafe, our biology hijacks our ability to be creative. True for many people we’re designing with is a lowered ability to feel safe due to trauma, feeling a lack fairness, autonomy, an understanding of what is happening and why, and/or the pressure to perform. These things don’t go away when we take part in a co-design experience. If anything, they’re often amplified. As designers, what do we really know about people keeping safe? What might we learn more about? How might disciplines such as neuroscience inform our design approach? Some of our greatest hurdles in bringing decision makers, front-line workers, people and their whānau affected by a problem together productively — is time and interest. With time, we’re constrained by busy lives, jobs that are hard and expensive to step away from. With interest, we sometimes lack a genuine interest and curiosity for each others lives. Bringing disparate groups together can feel hollow, and fail to generate the thick, and strong networks we need for social change to happen and be sustained. How might we ensure that those we’re engaging with, are learning about themselves and each other? How might you love your co-designers? How might they love each other, and the work they have to do together? The goal of social innovation, co-design practice, cannot be great participation experiences. Rather, it must be genuinely recognising people as experts in their lives. What do we do with experts? We give them jobs and we pay them accordingly. For co-design to be really genuine, people need meaningful roles (where there is interest and willingness). Both in the creation of, and delivery of solutions. This might be drawing and building on methods such as peer-to-peer research, peer-to-peer delivery. Social innovation teams in the future could look really different. We might focus less on hiring designers and design graduates, and more on finding people with natural mindsets of curiosity, empathy, a willingness to be in the grey, who have lived experience and are as diverse as the communities we’re looking to support. For social innovation to be of Aotearoa we must see more social innovation capacity among Māori, Iwi, and Pacific people. Instead of designers and design researchers gathering insights, ideating, developing and testing prototypes, in 2027 we’ll see far more of this being designer supported, but peer led. There are a range of social innovations incorporating a peer to peer approach in their design, and delivery. Peer to peer action is powerful and the solutions we’re seeing grown in response to child protection, ageing, caring, family violence — are all reflecting that. Some of these are Family by Family and Weavers from the Australian Centre for Social Innovation, The expert patients programme in the UK, and our very own SKIP Waitakere . Designers cannot go at it alone. Design expertise is needed alongside content knowledge (e.g. ageing, child protection, health, youth development) and experts through lived experience. We’re seeing powerful solutions be developed by teams who work in partnership between content, process (design), systems-change expertise, and lived experience. In 2027, I doubt we’ll see any agencies, groups or gatherings of people comprised of designers only. Whoever they are, there will certainly be no one going at it alone. Social change happens when we have empathy and understanding for the lives of people, the systems that contribute to those lives, and practically, how change happens in complex structures. It’s not enough to say “oh, we just bring the process”, complex challenges need and deserve more than that. Designers are being asked to leave spaces they where they can’t demonstrate deep understanding, and in doing so fail to build trust and credibility with key influencers. We need user empathy and system empathy, as well as an understanding of how to work with key influencers, and create change within complex structures. Whether the complexity is real, or imagined, we must demonstrate knowledge and care of it to build trust. Instead of moving from university, into design agencies we might see more designers spending time working in the sectors they’re attempting to influence, developing that empathy, understanding and trust. When we have that trust, we can be provocative in a way that is heard. Effective. Sometimes we’re frustrated with managers, leaders and frontline workers for not wanting change as much as we do. We think disruption should be desired, while forgetting how deeply painful being disrupted is. To develop trust people need to know we understand, and empathise with them, not only the people they’re attempting to serve. The challenge of scale is immense. As the Innovation Unit describe, the challenge of being ‘stuck onsite’ where we do a significant work to discover down the track that what has been developed cannot be scaled further. When we’re looking for radical change, when we need it, we need scale, not only the niche. start small, prototype with scale in mind, then attempt scale. Where we’re seeing success in scale largely but not exclusively, in the former. Starting with it. When we start with scale, we’re deliberate about building infrastructure and strong relationships. Communities of practice, champions, advocates, and sound business models. Perhaps we’ll battle the tyranny of scale, through setting out to scale, every time. We might do this through still holding the local with tenderness, remembering we cannot simply transplant models that worked in one place, at a moment in time, with a range of unique and non-unique conditions. Simply. Good investment and bold leadership. Bold leaders convince others that social innovation is worth investing in, a worthy and reliable investment. Bold and skilled social innovation leaders support teams to be in ambiguity, while not being swallowed up by it. To act on emerging opportunities, while understanding that more projects doesn’t necessarily create more impact. To have safe, culturally competent and participatory practices, without dogma or jargon that leads to inflexibility and confusion. Naturally. Obviously. We need good investment. What can make investing in social innovation hard isn’t always that we don’t have the cash, but that to get it we often have to stop spending elsewhere. We have to stop doing things that don’t work, in favour of those that do. Bold leadership enables this too. What are you dreaming of and hoping for? What are your predictions for social innovation in 2027? We'd love to hear over on Facebook, or Twitter. Social innovation is the process of designing, developing and growing new ideas, products, services, strategies and organisations that work to address pressing unmet social needs.